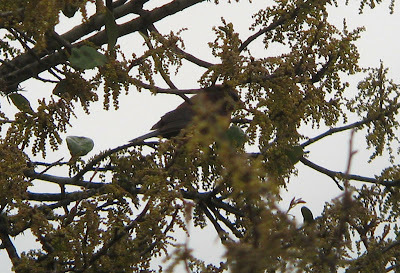 TX - Varied Bunting and Hutton's Vireo - April 16th. An afternoon visit to the always productive Lost Maples State Park on the Edwards Plateau gave us two rather unexpected species with, firstly, an adult male Varied Bunting right outside the Visitor Center. 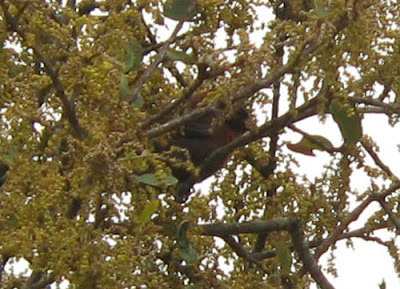 Despite its gaudy colors it was often extremely difficult to see remaining high in an oak for much of the observation. We later had a fabulous walk up the East Trail finding a pair of Hutton's Vireos nest building quite literally above the trail! 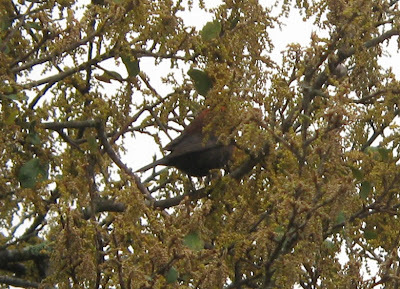 Varied Bunting. 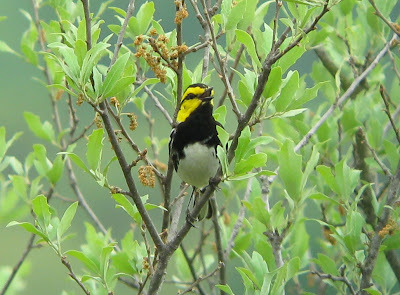 Adult male, Lost Maples SP, Bandera County, TX. April 16th. 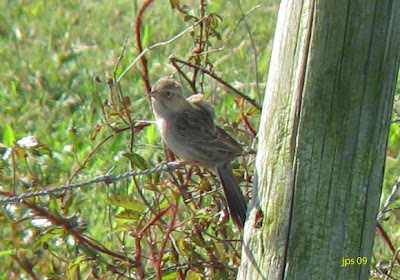 Described in the 'Handbook of Texas Birds' as an uncommon to rare summer resident of the SW Edward's Plateau. 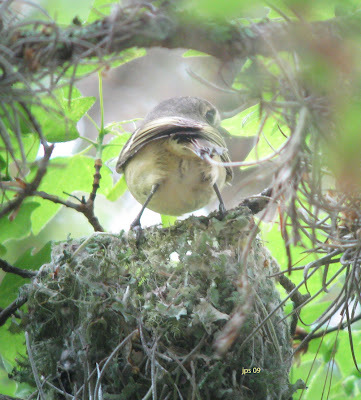 Hutton's Vireo. Adult at nest, Lost Maples SP, Bandera County, TX. April 16th. 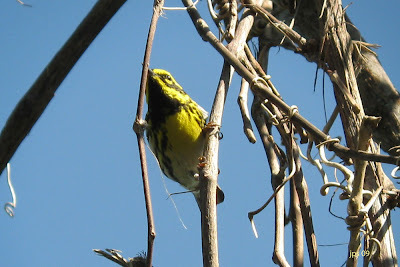 Described in the 'Handbook of Texas Birds' as a 'possible' very low density resident on the Edward's Plateau. Another nice surprise for our Birdfinders group. 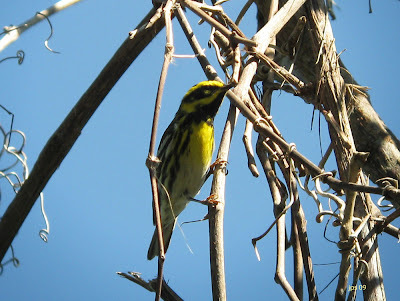 This fine male Townsend's Warbler was found during a frenzy of warbler activity in Smith Oaks Sanctuary, High Island during late afternoon, April 20th. 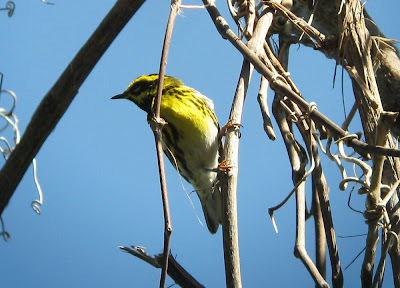 Townsend's Warbler. 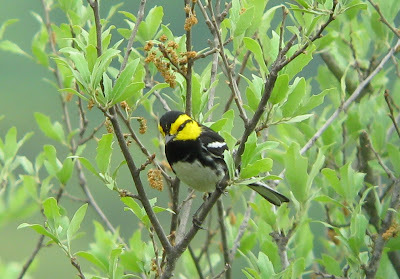 Male, Smith Oaks Sanctuary, High Island, Galveston County, TX. April 20th, 2009. Cassin's Sparrow - North of Winnie, Jefferson County, TX. April 22nd. 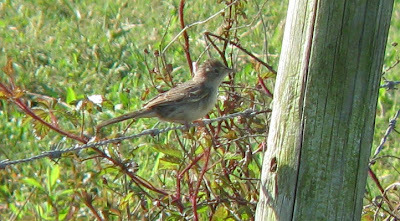 This bird popped up along a fence on League Road (East of Rt 1406) road just North-west of Winnie on the last morning of our Birdfinders trip. We'd driven out there to follow-up a report of some good shorebird fields which turned out to be slightly less productive than hoped. 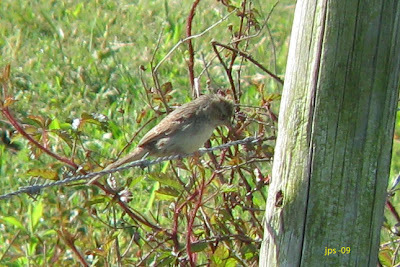 However, whilst strolling along the road, this Cassin's Sparrow perched up on the fence long enough for me to take a few digibin images. Having seen quite a few of these during our trip in Southern and Central parts of the state I didn't get too 'excited' but referencing the 'Handbook of Texas Birds' by Lockwood & Freeman would suggest that a record this far East in Texas (Jefferson County) is worthy of note. 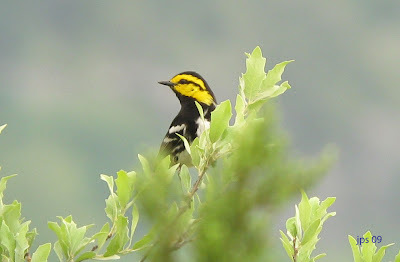 Golden-cheeked Warbler - Always stunning and always a highlight of any spring trip to Texas. 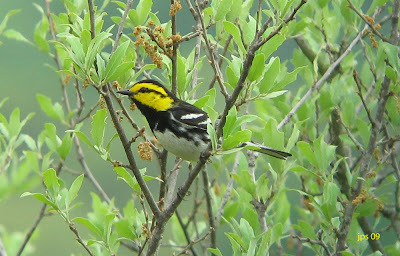 This obliging male was singing on one of the trails at Neil's Lodges, Uvalde County, TX. 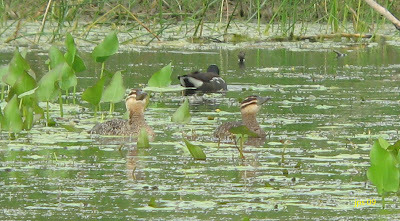 TX - Masked Ducks - April 10th. 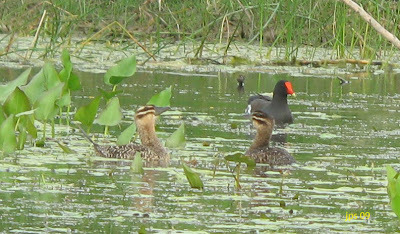 Seen on the recent and excellent Birdfinders spring tour of Texas, two Masked Ducks on Alligator Pond, Laguna Atascosa NWR. We showed up in late afternoon hoping to see a single Masked Duck that had been reported on periodic basis from tiny Alligator Pond. 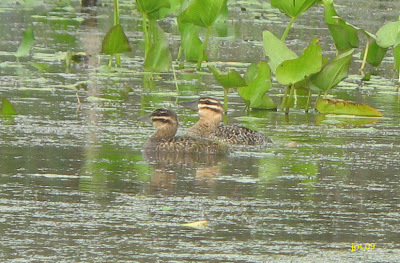 It was certainly a sweet moment two birds swam in to view and began consorting with each other with audible gasps and 'wows' from our assembled group. 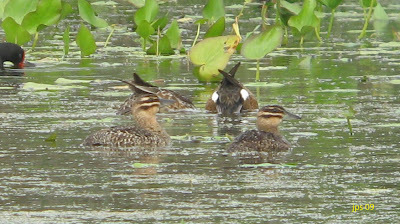 The birds also showed rather marked plumage differences, one being smaller, darker and more densely patterned than the larger paler breasted bird. I haven't been able to find out much information on the ages of Masked Ducks but it seems plausible that the smaller darker bird was an adult female and the larger, paler bird a first-year male. These birds put on a fine show contrary to their ultra-skulking reputation, and instantly became a strong candidate for bird of the trip. 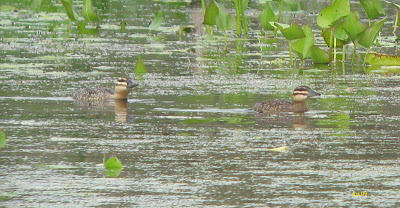 Masked Ducks, Laguna Atascosa, Cameron Co., Texas. April 10th, 2009.